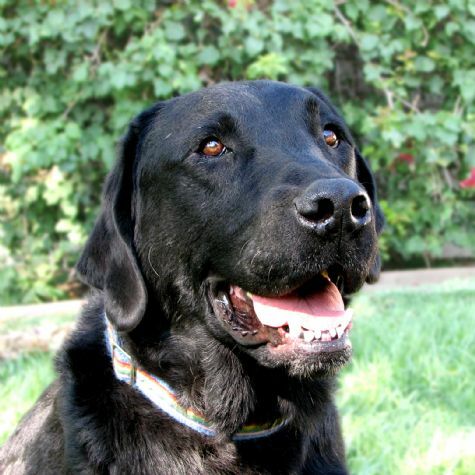 Tonto is a big affectionate lunkhead of a Labrador Retriever. He wasn't the smartest one in the litter, but he was the most persistent and determined puppy you ever saw. Like most Labradors, he is a champion eater --- dinner usually takes only a few seconds. Tonto enjoys doing his tricks during Love On 4 Paws' visits. He adores anyone who will throw the ball for him. At home Tonto likes to play and chase bouncing things.